2016 was undoubtedly one of the biggest and most hectic years for any SEO agency. There were a number of changes and developments that, while no single one was a complete game changer, meant that companies had to keep up with the times. 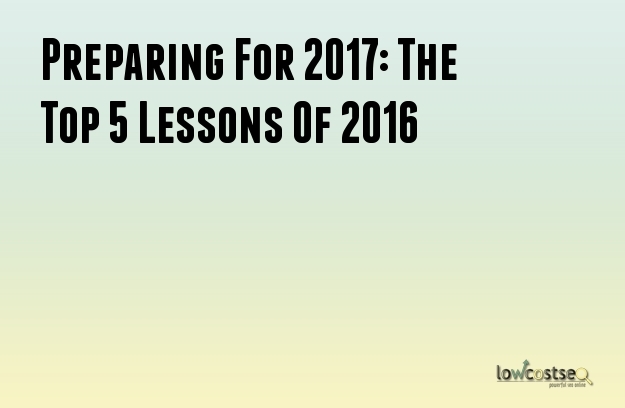 So, looking forward to 2017, what lessons can we take into the future? Here are the 5 most important factors to keep in mind in the new year. If you haven’t got a mobile website, 2017 is certainly the year to change that. This year, Google switched to its mobile first index, prioritising websites that cater to today’s more preferable devices: mobile phones, tablets and other portable browsing appliances. But what if you’ve already got a mobile site? Make sure it meets Google’s criteria. Fast loading times are a must, so try using AMP – Accelerated Mobile Pages - and some better website optimisation as it’s almost certain that Google will be tweaking and improving this mobile index in the future. The next biggest shake-up was the last big update to Google Penguin. Here on out, Google will update its algorithm on a smaller scale, with constant updates here and there. This means there will be no big announcements of upcoming updates, either. So, how can you prepare for this? In short, be more vigilant. The smaller updates means some changes might not influence your results, while others might change your rankings for better or worse. As such, you need to pay attention so you can pinpoint when these changes occur, figure out why and make the corresponding developments. Links are always vital, but just which links are the right ones has been a long-standing question in the world of SEO. Some recent changes included lessening the impact of spammy links, and even ensuring 301 redirects don’t lose you any linking power (although some people still debate this). For 2017, it’s time to reassess some of your links. It’s always worth taking the time to do a full audit, assessing the quality of linking domains and their relevancy. As Google’s algorithm improves, you can expect the most irrelevant links to become more hurtful, rather than beneficial, over time. This year has also been a year with increased activity in unique areas of searching. Voice searching, for example, is only becoming more popular as the likes of Siri and Cortana become popular mobile (and desktop) features. At the heart of many of these alternatives is the likes of semantic search and even local listings. We’ve covered semantic search before and, while it can be hard to cater to, businesses should strive to ensure their information is clear, consistent and easy for crawlers to read. For years now, PPC has been a strong way to get on to SERPs pages with paid sponsorship, but it’s no longer the only way to do so. Social media is also increasing, as too is the native advertising on Facebook and Twitter, so there is more than one way to get noticed. Speaking of which, more and more people are investing in video advertising (such as the rise of youtube personalities over the years) and this year saw a lot of VR and augmented reality products, such as Pokemon Go, receive mass acclaim. If this technology becomes more mainstream, it only makes sense for new advertising opportunities to turn up. Of course, this isn’t going to drive organic traffic, but it still puts your website somewhere it can be clearly seen.